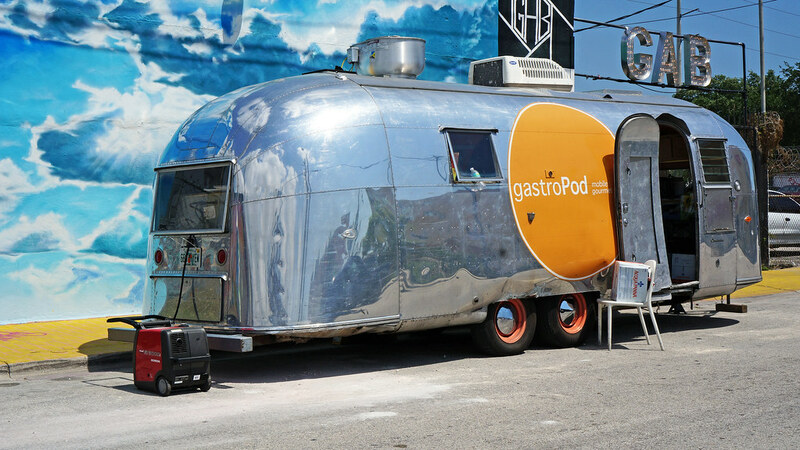 The gleaming chrome of the gastroPod's Airstream trailer is always a promising sight - even more so when it's pulled up in front of GAB Studio in Wynwood. 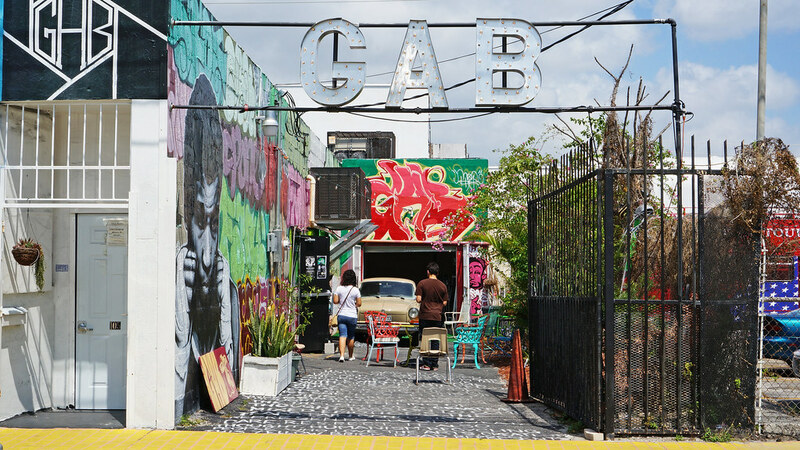 Good things have happened here with the Pod - a Cobaya dinner with Alex Talbot of Ideas in Food, and a P.I.G.-fest among them. 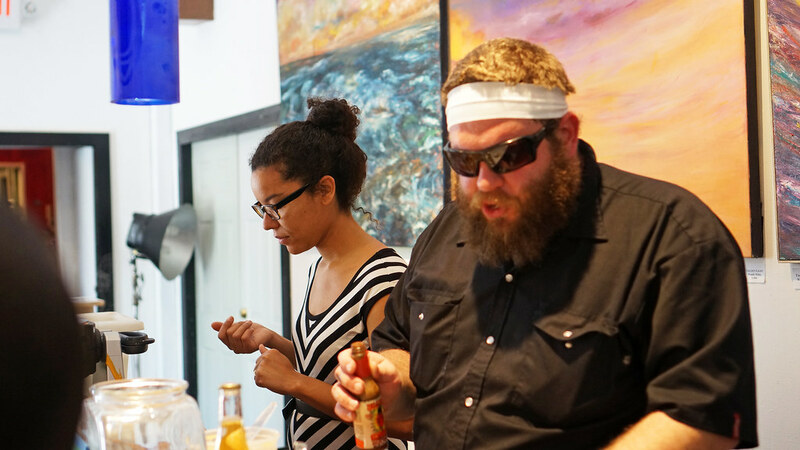 This time around, it was Chef Jeremiah Bullfrog's version of Sunday brunch, his fourth such "podBrunch." Eggs were broken, but fortunately nobody had to break out their emergency kicks. A somewhat deceptively simple salad started things off. Just a few ingredients: asparagus, onion, and a lemony vinaigrette, but with a layering of textures and forms. 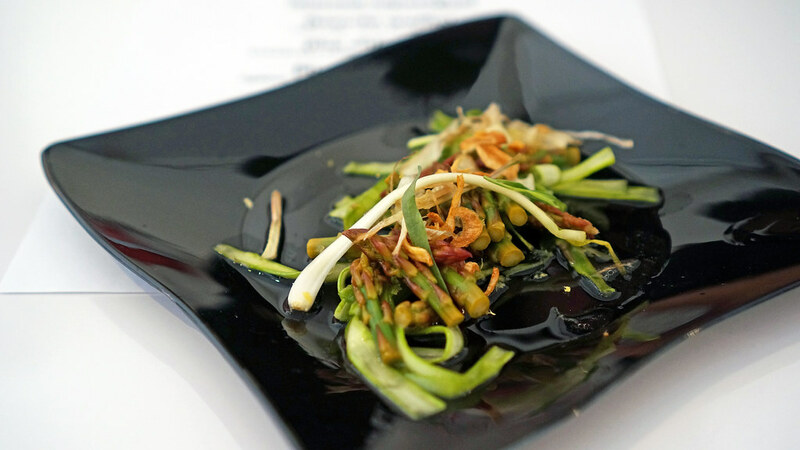 The asparagus appeared both as thinly shaved stalks and delicate pickled tips.Sprigs of fresh spring onion were mixed with thin, crispy golden dried onion (onion "katsuobushi," as Jeremiah called it). 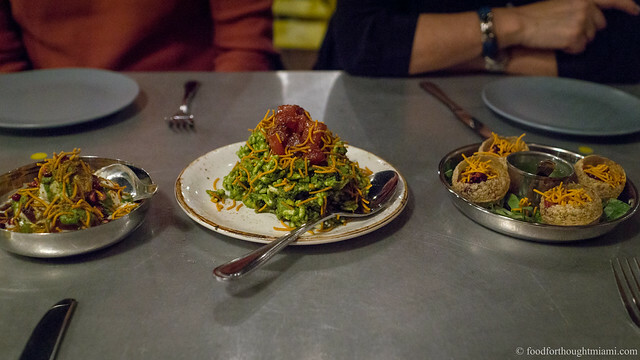 A synesthete would say this tasted like "green" - really fresh, clean flavors. The Korean "jeon" is essentially a savory pancake that will often include kimchi. 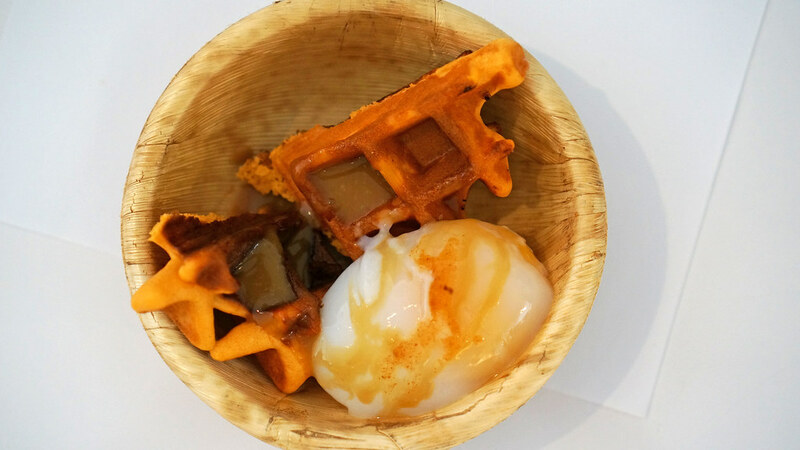 So a kimchi waffle is really not all that far-fetched. But to pair it up with a slow-poached duck egg, and then drizzle it all with a rich, but not overly sweet, cane syrup butter, was a particularly clever way to tie it back to a more traditional brunch theme. You can't get a Chick Fil-A on Sunday (and might choose not to anyway). 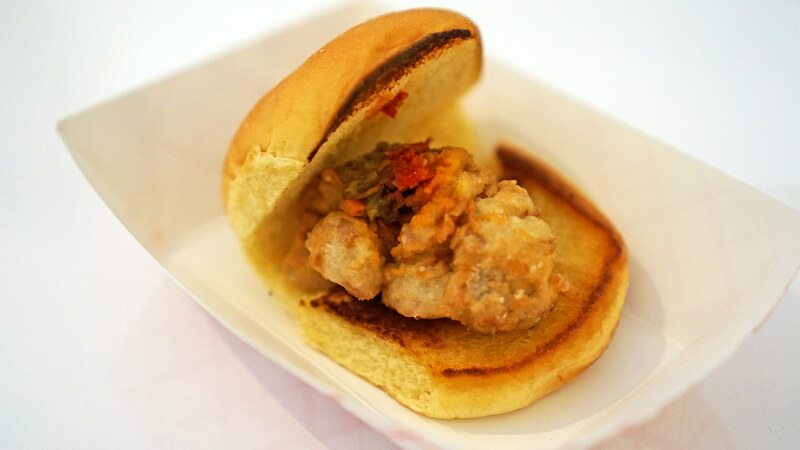 But this Sunday, anyway, you could get something much better: Jeremiah's "chic fillet," a delicately fried sweebread topped with a spicy vegetable giardiniera, all folded into a Martin's potato bun. Delicious and not at all homophobic - possibly my favorite dish of the brunch. Jeremiah says if you come by his house any Sunday afternoon (it's not really an invitation), this is what they'll be eating: "Sunday gravy." 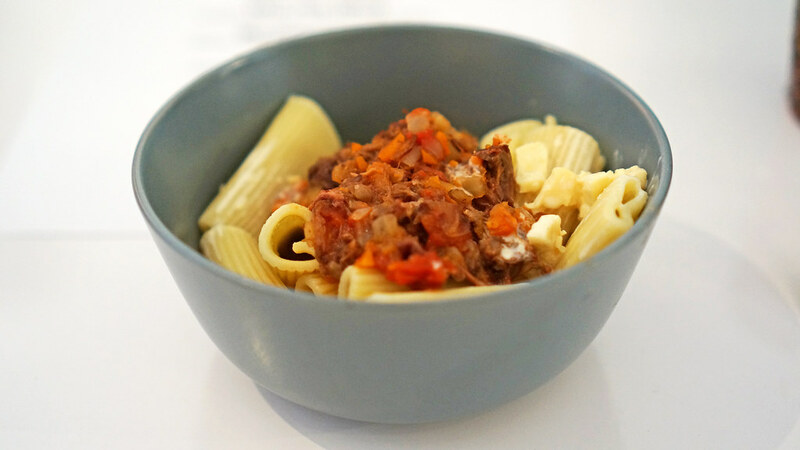 This particular version, served over rigatoni, was a hearty ragu of beef neck, pork hock and veal breast, cooked down with a bit of tomato and carrot until all the flavors merged in their umami-loaded goodness. Jeremiah had an interesting trick with the cheese for the pasta - he took a hard South American queso blanco type of cheese, and rehydrated it in cream for a texture more like a ricotta salata. Silky, satisfiying - easy like Sunday gravy. 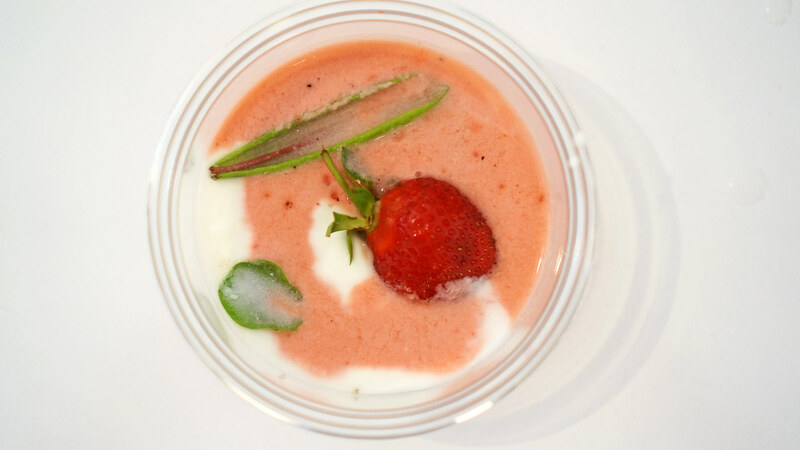 To finish, a light parfait of house-made yogurt with fresh local strawberries and sorrel leaves - a nice interplay of creamy, tangy, sweet and fruity. 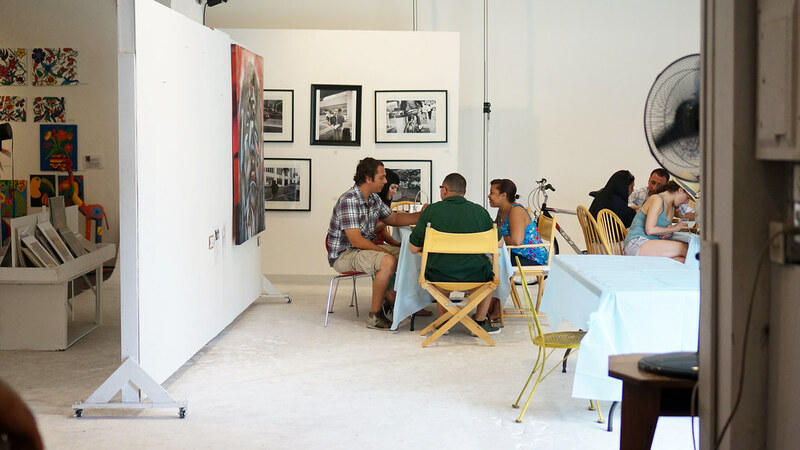 This was a fun way to spend a Sunday afternoon, sampling five courses for $35, sipping some Panther cold brew, and catching up with some friends old and new. why is he trying to outbeard you?